Greta Lee Splansky came to the Framingham Heart Study, Boston University, in 1985, with an undergraduate degree in biology from the University of Michigan and a master’s degree in epidemiology and biostatistics from the University of Cincinnati. Her work at the FHS began with the documentation of cancer cases. Since 1994, as director of operations, her work covered the integration of core and ancillary studies, coordinating outreach to research participants, editing the FHS web site including direct entry of surveys via the FHS web site, and the editing the annual newsletter to participants. A particular focus of communication has been all aspects of genetic research at the FHS including collection of cell lines, stem cells, ethical concerns, drafting genetic sections of consent forms, organizing the recruitment of the Third generation of FHS participants and was the author of the first article on the FHS Third Generation. Most recently, she has organized and supervised the FHS notification program for individual participants about specific incidental genetic findings. 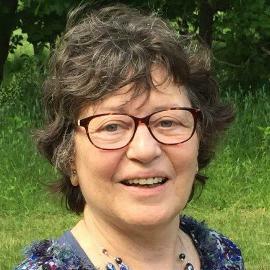 Ms. Splansky has participated on several programs on informed consent and genetic notification including the Secretary’s Advisory Panel on Human Research Protections, the Boston University Medical Center Institutional Review Board series and the Fernald Community Symposium at the University of Cincinnati.